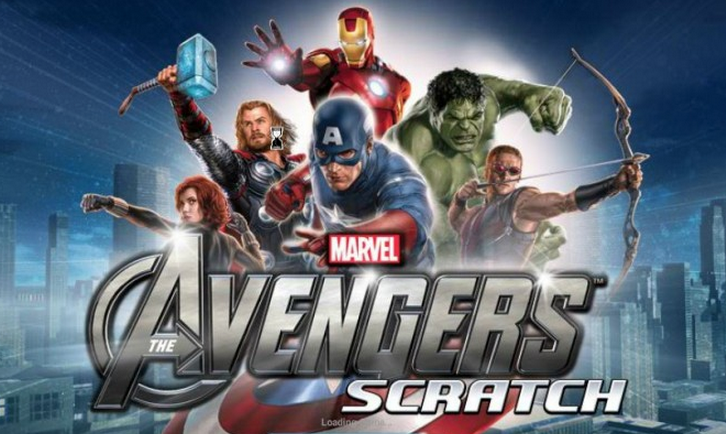 Is it a bird, is it a plane, no it’s the Avengers Scratch card. This game features those Marvel movie superheroes. 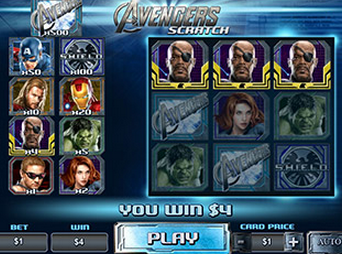 In this game, the cast includes Iron Man, Thor, Captain America, and the Hulk. Villains are the Scarlet Which and Baron von Strucker. Play with your 100% casino bonus and you could become a superhero – at least in the winnings department. The Avengers shield and Avengers Logo also make an appearance on this game. This scratch card has a 3 x 3 matrix, the Avengers logo has a large multiplier of 500 times. To win, you must line up three superhero symbols in any row or column. The Avengers logo has a large multiplier of 500 times. Ready for some Lycra-clad winning action?